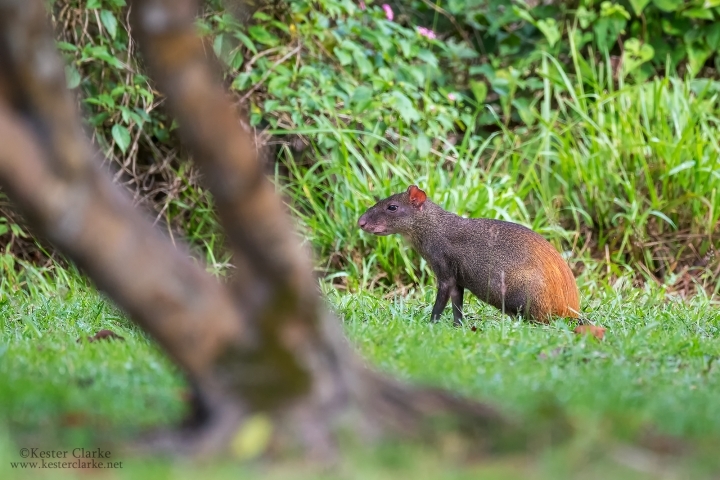 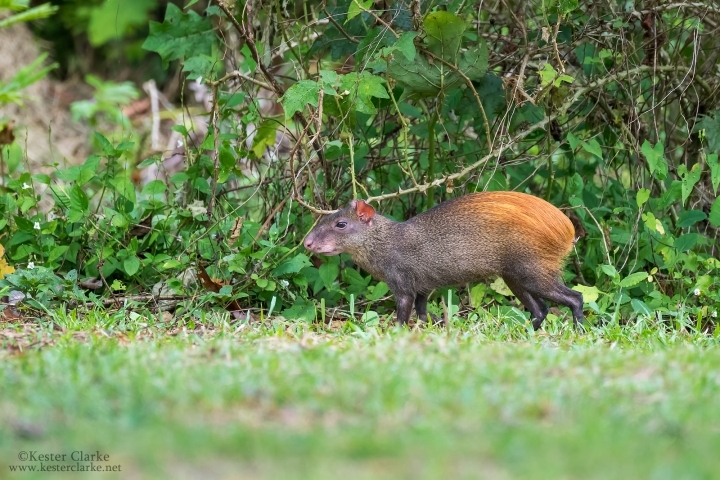 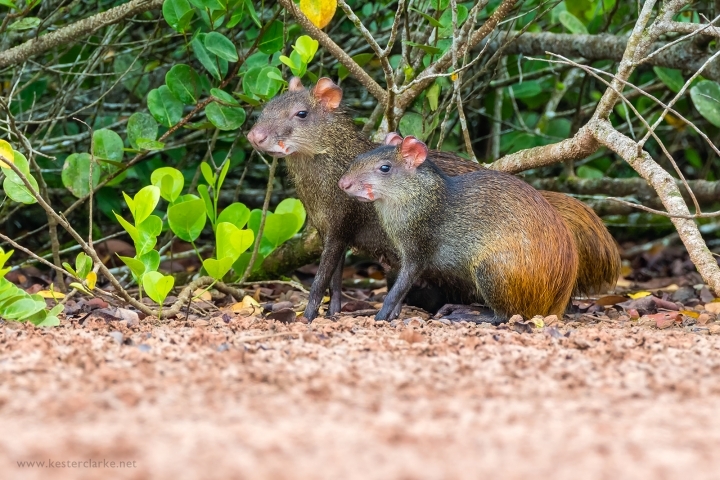 Red-rumped Agouti adult and young near a lake in Linden, Guyana. 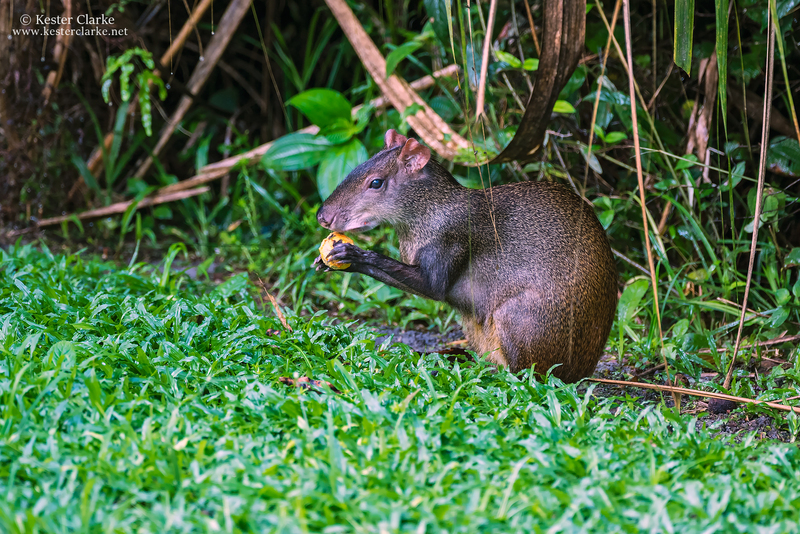 Red-rumped Agouti (Dasyprocta leporina) eating a palm nut at the Arrowpoint Nature Resort, Guyana. Red-rumped Agouti feeding on fallen nuts on the lawns at the Iwokrama River Lodge.